Studied the microstructure evolution of cocontinuous polymer blends using laser scanning confocal microscopy and 3D-imaging. Synthesized and characterized fluorescently labeled polymers via free radical polymerization. Performed differential geometry on 3D images to obtain the geometry and topology of blend interfaces. 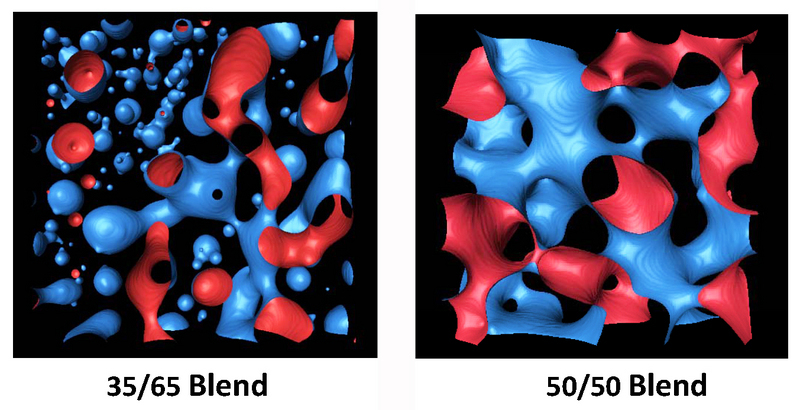 Correlated the dynamics of the surface evolution with the viscoelastic response of the blends during coarsening. Managed the Combinatorial Chemistry Laboratory. Supported researchers in the use of the Parallel Pressure Reactor (PPR-Symyx®) in synthesis of styrenic, acrylic and olefin polymers. Built an olefin supply system to improve the capabilities of the PPR for use in the synthesis of polyolefins with metallocenes. Gained experience in the analysis of multidimensional experiments, data visualization and data mining using Spotfire®. Studied the relationship between morphology and (mechanical and barrier) properties of blown films prepared with PA6 and LDPE and compatibilized with Surlyn® 9020. Built a camera set up to capture the film shape evolution during the blown film process. Characterized biaxially deformed PA6 morphology with SEM and image processing. Built a gravimetric permeation cell to measure permeability of the films. 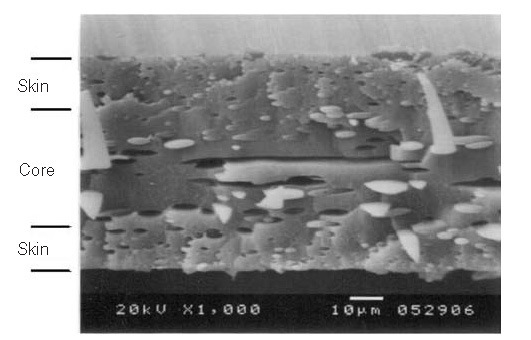 Measured tensile properties of the films using a Universal Testing Machine. Expert in image processing and analysis with different software packages such as Photoshop, ImageJ, Huygens, Amira, and Matlab. Skilled in microscopy techniques, including conventional light microscopy, laser scanning confocal microscopy, and scanning electron microscopy. Familiar with tensile tests on polymer fibers and films using the Universal Testing Machine. Experienced in polymer processing operations, including extrusion, mixing, and film blowing. Proficient in rheological tests including capillary and rotational rheometry. 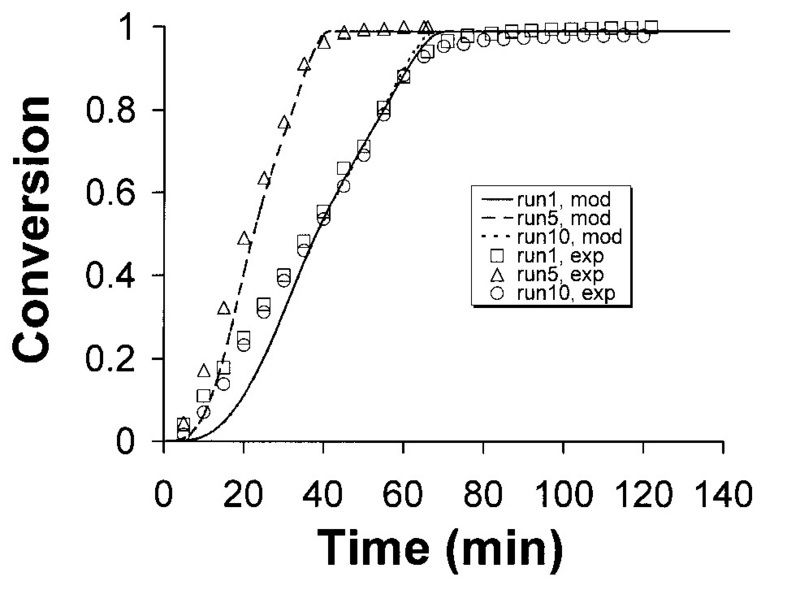 Adept in polymer characterization techniques including DSC, GPC, CHN Analysis. Experienced in polymer synthesis with both conventional and combinatorial chemistry.